The sun is out, the flowers are blooming, and it’s that time of year again…. SPRING CLEANING! I’m starting in my closet! 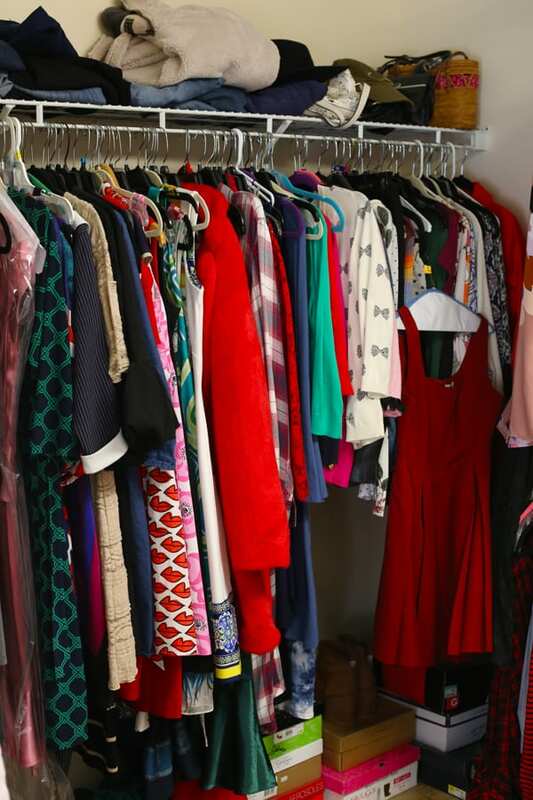 Do you need to clean out your closet to make room for some new outfits? Why not sell last year’s outfits on Facebook Marketplace? It’s an easy, convenient way to discover, buy, and sell the items you no longer need, but are still in great condition. This was my first time using Facebook Marketplace and it was super simple, but I learned a few things along the way and wanted to share with you. My Favorite Tips and Tricks for Selling Clothes on Facebook Marketplace. 1) Clean out your closet! It might be a little obvious, but the first step is going through your clothes and separating out the clothing that you are no longer using. I’ve heard that a good rule of thumb is that if you haven’t worn it in one year, then it should go. I do use that rule sometimes, but I also like to get rid of some things that I have worn so much that I’m just tired of. I tend to get stuck in a fashion rut at times and will wear the same 3 outfits over and over. That’s when it’s time to say goodbye. 2) Find the items that are in the best condition! 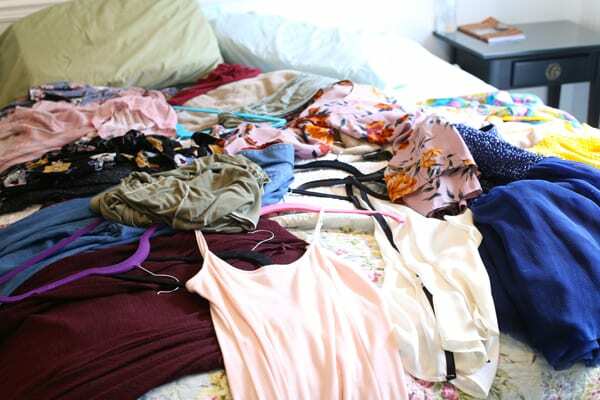 Once you’ve separated out all of the clothing that you no longer want, then it’s time to select the items that are in the best condition. You don’t want to sell something that looks very worn and old. Do you ever find items in your closet that still have the tags on? I’m ashamed to say that I do. I feel that is wasteful, but once in awhile this happens. These are the perfect pieces to sell because they are still brand new. 3) Make sure items are clean and ironed! After you’ve selected your best pieces of clothing to sell, then you want to make sure they are clean and free of wrinkles. No one wants to buy dirty, wrinkled clothes, right? 4) Take good quality photos! There are two options when taking photos of clothing. First, you can hang up the item of clothing in front of a white wall and take the photo. Or another option is that you could wear the item yourself and have someone take your photo in front of a solid background. I took photos of my daughter wearing the clothes because we cleaned out my closet and her closet, too. I cropped out her face for safety reasons. 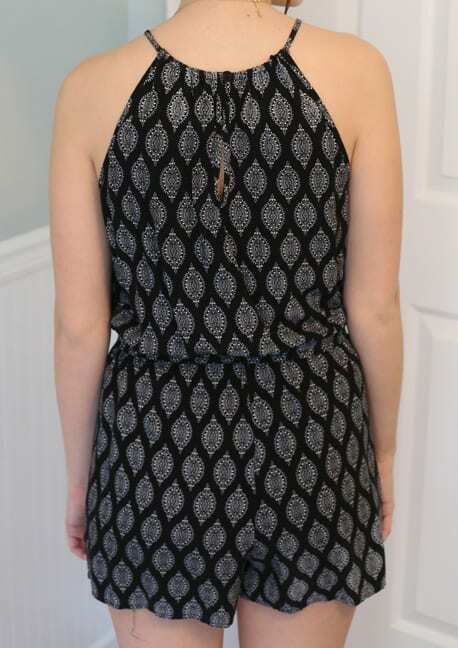 When you take pictures of your clothes, make sure to show the front and back of each piece. Taking good quality photos is so important. They should be in focus and with a plain background. 5) List items on Facebook Marketplace! This is the easiest part. Go to your Facebook Home page. Click on Marketplace in the left column. Then select the blue button on the left that says “Sell Something”. Then you follow the prompts. It’s very simple to use. Select the category, add your description, add your price, and a photo of your item. Hit “Next” and then “Post.” Easy Peazy! Add as many items as you like. 6) Use the brand name in the listing title. If your item is a brand name or designer brand, you should definitely use it in the listing title because people will search for brand names. My final tip is this: Do some research on your item to see what other people are selling it for. You don’t want to price your items too high, and you also don’t want to price them too low. And now you’re ready to start selling! 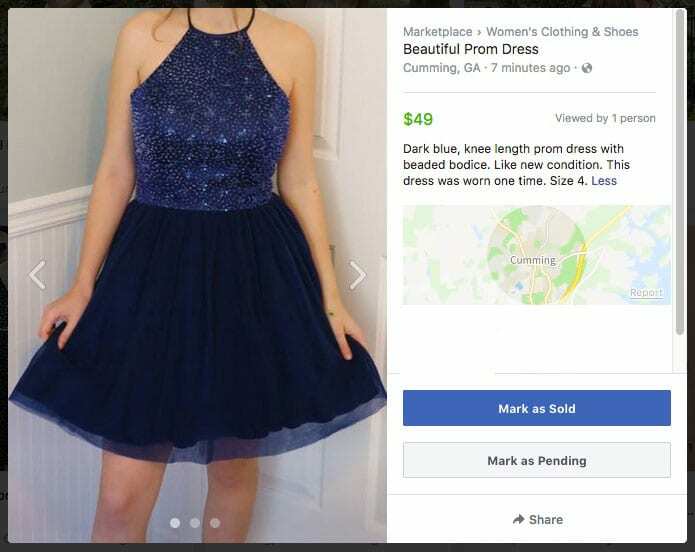 I hope this article – How to Sell Clothes on Facebook Marketplace – will help you as you sell your items online. What a terrific way to clean out your closet and make some extra cash! Once you’ve made extra room in your closet, you can go shopping for some new outfits. Or go on Facebook Marketplace to find something cute at a great price! I hate to admit it, but I didn’t know anything about Facebook Marketplace! And guess what? I”m getting ready to clear out my closet! Thanks for the timely info.